Located in Western Honshu (Japan’s main island), Hiroshima is less than two hours from Kansai (Osaka, Kyoto and Kobe) and four hours from Tokyo by shinkansen (bullet train). Miyajima is just a short hop from Hiroshima. Here is everything you need to know. Unless you’re coming from a place like Hokkaido or Tohoku (northern Japan), the best way to get to Hiroshima is by shinkansen (bullet train). Yes, you can fly from Osaka or Tokyo, but once you factor in the time it takes to get to/from airports and check-in etc, the train is usually faster. 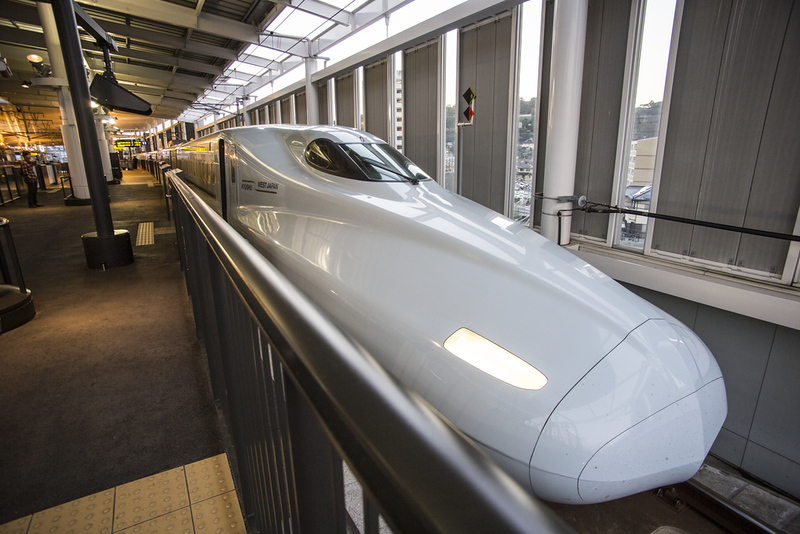 If you are paying cash for your shinkansen tickets, you can take the fastest type of shinkansen (the Nozomi) all the way out to Hiroshima from Kyoto, Osaka or Tokyo without having to change trains. There are multiple direct departures every hours from about 8am to 8pm. However, if you are traveling with a Japan Rail Pass, you cannot ride the Nozomi; you can only ride the slower Hikari, Sakura or Kodama shinkansen on this line. The best route usually involves taking a Hikari shinkansen to Shin-Osaka (Osaka’s shinkansen station) from Tokyo or Kyoto and changing to a Sakura shinkansen there. I strongly suggest asking at the JR office at your departure station before you depart, because if you time this wrong, you can wind up waiting a long time in Osaka or Okayama en route. You can buy the Japan Rail Pass online at GoVoyagin.com which is an official partner of JR Rail. The cheapest way to travel to Hiroshima from other parts of Honshu is by bus. Willer Express operates buses between Japan’s major cities and Hiroshima. Here are some typical times and fares: Tokyo > Hiroshima: 10 hours, Y7,100; Osaka > Hiroshima: about 6 hours, Y4,700; Kyoto > Hiroshima: about 7 hours, Y4,700. If you don’t like sitting on trains, you can fly from Tokyo’s Haneda Airport to Hiroshima Airport in about 90 minutes. Fares usually average around Y35,000 each way, but you can get better deals if you buy at least a month in advance or go through a Japanese travel agent. See my Getting Around Hiroshima-Miyajima page for details on travel between Hiroshima and Miyajima.